When I started this site back in 2011, it was only a hobby. I didn’t ever expect to gain the following that I now have or turn it into a viable business but that’s what it’s become. Over the years, I’ve picked up a ton of knowledge about topics ranging from investments and credit cards to budgeting and creating multiple sources of income. But the real reason why I started this blog was so that I could share all that information with anyone willing to listen. One of the new things I’ll be trying this year is my “Ultimate Guides Series“. My plan is to basically go in depth on some of the most asked about topics on this site. Today marks the official release of the “Ultimate Guide to Understanding Your 401(k)“. Although it comes in at just under 5,000 words, it shouldn’t take more than 20-30 minutes to read. And since I cover every aspect of a 401(k), there should be something of value for readers and investors of all ages and experience level. Tax consequences of 401(k) contributions: Pre-tax, Roth 401(k), etc. I really tried to cover everything but there’s only so much that can be said in one guide. There are lots of examples and numbers but I promise, there’s no math. My goal with this guide is to provide my readers with a starting point. Since I’ve already written extensively about many of the topics in this guide, I’ve also included links to further reading(articles I’ve written) for many of the sections. That way, you can easily find out more about any one particular topic. I’ve literally spent thousands of hours researching financial topics, calling companies like Fidelity and Vanguard, and posting on financial forums in order to get to where I am today. I don’t know everything there is to know about 401(k)’s, but I do know a heck of a lot more than I used to. My “Ultimate Guide to Understanding Your 401(k)” isn’t anything magical but it will provide you with a strong foundation so that you can make smart decisions with your money from here on out. This guide aims to condense all the information I’ve gathered over the years into an easy to read and interesting format. I know a lot of people dread dealing with their finances but it’s insane to just hand off your 401(k) to some investment professional and let them do their thing. Although there are some good ones out there, most financial advisers are more like commissioned salesmen. They’re looking out for their bottom line first and yours second. At the end of the day, the person that cares the most about your money will always be YOU! As always, the content that I provide is completely free but if you’d like to support the site please share this guide with anyone who might find it useful. You can also share via Facebook or Twitter if you really want to do me a solid. I’d love to hear your feedback about the guide – was it too long, too short, too complex or too basic? The next guide that I’ll be working on is “The Ultimate Guide to Credit Card Rewards and Sign-Up Bonuses” – a topic that a lot of you have been asking me about lately so get ready for some great information. If you have a topic that you’d like to know more about, now is your chance. Please leave a comment and let me know. Good luck with this Harry! Thanks Catherine, it was fun to write. This is exactly what I was looking for! Glad I stumbled upon this. I got as much info I could about my 401k from the plan administrator but they can only give you so much helpful advice. I am definitely looking to dive into more detail Already bookmarked it! Awesome Syed, I’m glad I could help you out. Yea I haven’t found 401(k) administrators too helpful or knowledgeable. 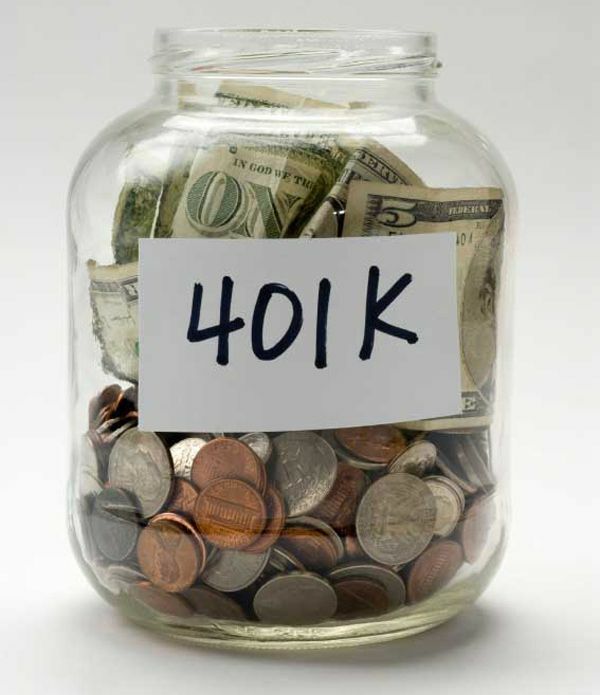 Luckily all of the information you will need about your 401(k) is right there in my guide. Let me know if you have any further questions.